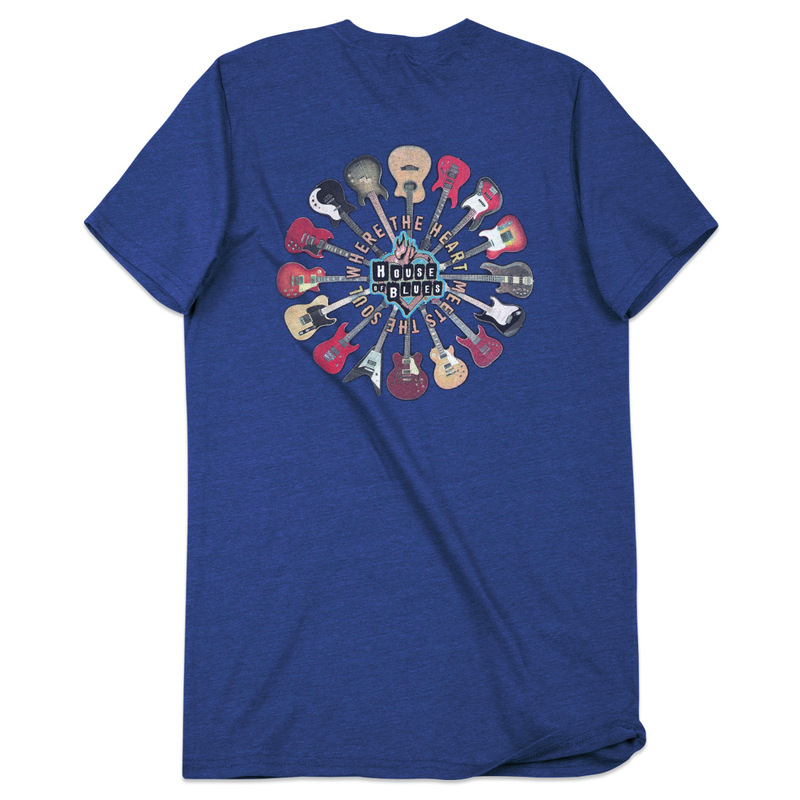 Our latest T-Shirt is literally centered around music. The House of Blues classic heart logo is surrounded by a circle of colorful acoustic and electric guitars and "Where the Heart Meets the Soul" slogan. 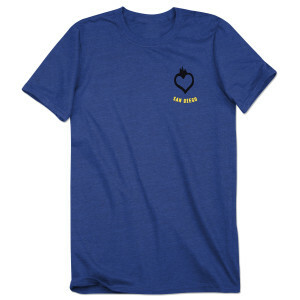 Front has a heart logo at left chest and venue location name. 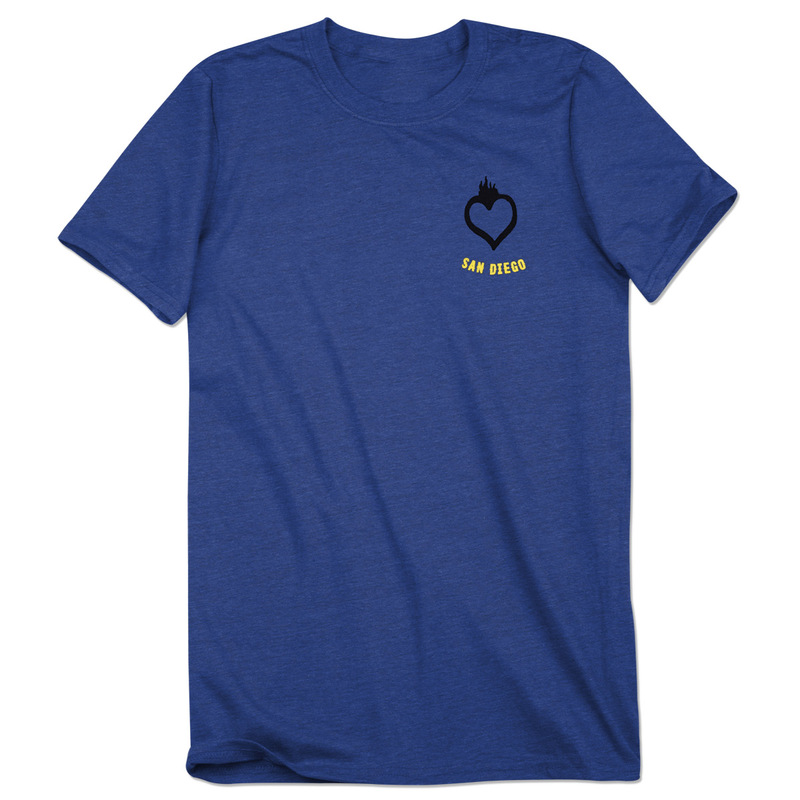 50% poly 25% cotton 25% rayon blue.